Is renting a MEWP your best option? So you’ve got a few jobs that really need a powered access platform to do safely and efficiently. You’ve looked at the cost of buying, both new and second hand, but the company isn’t quite ready yet for that leap into a big capital purchase. It’s a decision that can’t be rushed into but renting a MEWP quickly to get the next few jobs done. At this stage, many companies, especially smaller firms, find it more cost effective to rent powered access platforms rather than investing in their own equipment. Finding a reliable and reputable hire firm is essential to make sure that you have the right access equipment for your job and that the machines you hire are functioning to the highest standards possible. There are a few useful things to consider when deciding to hire powered access platforms which will help you find the right equipment from the right supplier. This is the most important consideration when renting access platforms. It is the responsibility of the person who is going to use access equipment to ensure that all users are fully trained. This is a legal requirement and is in place to avoid serious accidents or even death. Common accidents covered by training include falls from the basket, items dropped from a height and over-tipping. A reputable hire company will either be able to provide this training or direct you to a suitable independent training firm. Most rented equipment is not brand new and will be used by multiple companies in its rental lifetime. This makes it even more important to ensure that all used access equipment has been fully serviced and maintained and meets all the required safety standards. Ask your hire company to show you details of the servicing and who has worked on it. A full risk assessment should be carried out before starting any job and this should include details of the relevant ground conditions. The strength and type of ground surface vary depending on location and even the weather but is very important to the stability of access equipment. Many powered access platforms are able to stabilize on steep gradients though some fragile floors may need extra assistance. If you are concerned, ask your rental firm if they can rent or recommend spreader plates which will spread the pressure load and increase safety. Hiring a powered access platform is cost effective for smaller firms or for private use and can save money on storage, maintenance and the other outgoings associated with owning a powered access platform. It is important to find a good hire firm that can provide quality equipment and advice to help your needs. Your hire firm should support you to make the right choice of access platform and comply with health and safety demands so you can get your job completed quickly, safely and with confidence. Buying MEWP Or Renting A MEWP? 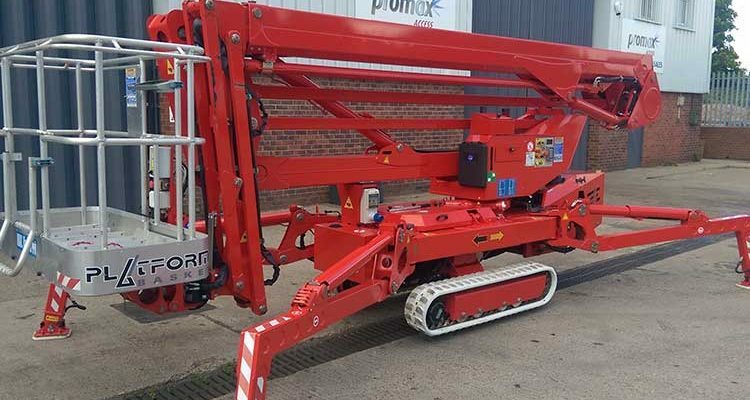 Powered access platforms are efficient, safe and can cut time and costs for most jobs at height but investing in plant is a big decision for many companies. Depending on the size of your job and your business needs, there are pros and cons to buying a MEWP or choosing to rent individual machines on a job-by-job basis. Obviously, some financial analysis is needed before a decision can be made to purchase. It may be prudent to start by renting on a job-by-job basis, but if you’re renting requirement starts to increase over time and it eats into your job-by-job profit, it’s time to start considering your options. Buying a MEWP is a definite bonus to growing companies that have multiple and regular jobs at height. The number one benefit that may tip the balance in favour of buying a MEWP could be saving tax. In the UK you can deduct all or some of the value of the item from your profits before you pay tax. Talk to your accountant about Capital Allowances and check out the Government website. Additionally, Capital Equipment Assets and their depreciation can improve the company Balance Sheet. Branding – owning your own equipment means you can brand with your company logo which could be important if you want to attract new customers or if you are a public service organisation. Training – Larger firms can train multiple staff to use the equipment which is good for business and enables firms to have job flexibility. Used access platforms – Quality, pre-owned access equipment can be bought for a reduced price. Service history – Reputable suppliers will ensure they are acquired from reputable sources, fully serviced and inspected. Finance options – Some suppliers offer finance plans for customers to help them buy the plant they need. Look for accredited lending schemes with payment options including hire purchase, leases and contract hire. Again, there could be tax benefits under such an arrangement. Not every user of a powered access platform is a larger company with multiple jobs at height so for private jobs and one-off tasks then renting may be a better option. Cost effective – Renting saves money on the costs of keeping and running a large powered access vehicle that is not in use for a lot of the time. Servicing and maintenance – The costs of servicing and maintenance can be saved as they are the responsibility of the rental firm. This means the equipment is always security checked and safe to use, with the relevant documentation. Users still need to be trained in the use of both powered access equipment and the model of lift used, even if it is for a private job. Storage – Some powered access platforms are large and need a lot of storage space that could be difficult to find. Not everyone has room for a road towable boom lift in their garage! There are pros and cons to renting and buying powered access equipment and the right choice will depend on your individual needs. The issues are still the same when considering what is right for your business: tax breaks, value for money, safety and servicing, and storage. Make sure you are choosing the right tools for the job before you sign a contract and that anyone using it is fully trained and take these things into account when making your investment. Look for any “hidden” costs you may not have thought off. ii) carefully assessing surface they are used on. 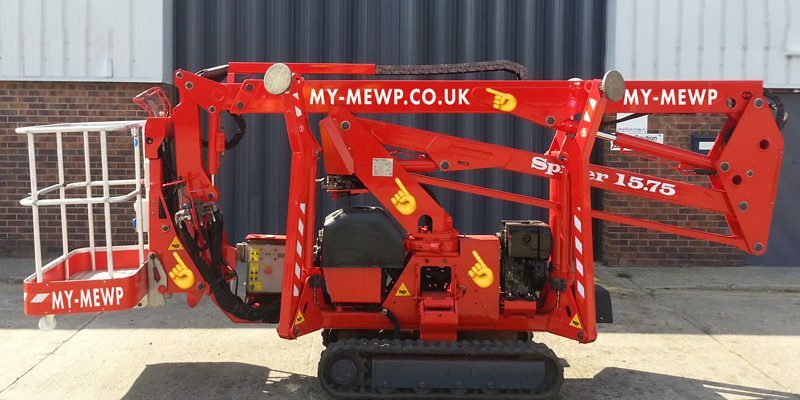 MEWPs use various methods to stabilise on uneven ground – some spider lifts have adjustable legs that can be set up in different positions and on different levels, whilst all-terrain vehicles can be set up on severely sloping gradients. • Each machine has benefits and limitations so it is essential to be familiar with the specifics and only operate the machine within the manufacturer’s recommendations. • Inspect the machinery to make sure it is fit for use and ensure operators are fully trained (this is a legal requirement). • Look out for the warning lights on the control panel. This will tell the operator if the machine is not level. • Outriggers generate high pressure at the feet which may not be supported by many areas of soil or unmade ground and even some paved areas, so additional foundations may be required. A site survey and risk assessment will highlight potential MEWP stability problems. Ground conditions have a big impact on the stability of MEWPs and as part of the risk assessment, a ground survey should be completed before every job. Poor conditions may mean further support is required such as spreader plates, timber mats or concrete pads. • The weather has a big impact on outdoor ground conditions, in particular, rain and ground that has thawed after an overnight frost. Regular checks should be made as conditions are changeable. • Paved areas, such as footpaths, may look strong but could have weaker ground or shallow services underneath. • Roads in estates and residential areas may be less durable than those designed for commercial vehicles. • Avoid the edge of trenches and other excavations as these may collapse without warning. • Indoor spaces should be properly surveyed as floors, cellars and basements are often unable to take the necessary weight. • Underground services such as sewers, drains, manholes, gas and water mains might be damaged by the weight or could even collapse. MEWPs can be stabilised and perform safely and effectively on most surfaces and gradients provided a few basic things are taken into consideration. Make sure operatives know how to use the individual machine and what it is capable of. This applies to both road towable and vehicle mounted platforms. Assess the ground conditions to be worked on to ensure the machine can be used to its optimum performance. This will prevent avoidable tip overs or subsidence accidents that can put lives at risk.